I exercise. I haven't always, but I've started doing it regularly (usually every day) and it's made a HUGE difference in my weight loss now that I've gotten under 200. I'm doing the C25K program (starting week 4 tomorrow) and usually alternate my walk/run days with Zumba classes. I adore Zumba because the time flies by and it's FUN, not boring. The great part is that you get all shapes/sizes/ages/skill levels in each class (at least I do in my classes) and there's no judgment. As long as you're moving, you're getting something out of it. Last edited by allieballiebee; 02-25-2013 at 10:32 AM. Reason: typo! and i starte working out 2 weeks ago and i look forward to going to the gym every night cuz i feel like it helps me sleep peacefully at night! but it took me a couple days ti start liking it! by the 3rd day i was excited and how i was sweating and making progress so it makes me even more excited! i hpe u start liking it soon! my suggestion is take it easy until you get really comfortable to run on the tread mill. i just started on the treadmill last night. i feel alot more comfortable on the elliptical. I like Zumba, too! It's social and fun. But it serves a different purpose for me than running. Running is my stress reliever, my "high," my me time - and nothing else that I've found will do that for me. I think I need the exertion. But - it wasn't like that when I first started. At first, I walked on a treadmill and did intervals with the incline. Finally I added a 1 minute run into the interval pattern. I started noticing that running on a flat surface was less effort than some of the higher intervals and that I felt like I was "running away" or escaping or just free when I ran. Gradually, over the course of the next 2 months, my running intervals grew to 9 minutes long (about 3 songs). Then, they were one mile with a quarter mile of rest. Once I could run 2 miles together at a time (another 2 months later), I found I could just take off. And that's when it really clicked for me. I feel like I need it now. The biggest piece of advice I have is to be patient with intervals - even if you run in intervals, you're still a runner!! Take it gradually and your body will get there! I don't exercise at all yet, but i need too. So far I've had success with just calorie counting but am definately expecting to plateau eventually. Probably sooner that later and then I will have to incorperate some form of exercise. Not looking forward to it at all, hoping that once I get started I'll love it. Due to mobility issues, I don't exercise very much. Due to mobility issues, I HAVE to exercise more, but I have to go slowly or it makes everything worse. So I take short walks around the inside of my building (or outside when it's warmer). I can do 15-20 minutes on the elliptical, but that's it. I walk on my treadmill 30-40 minutes in the mornings, while watching last night's Daily Show, at 3.2 to 3.4 mph. When I started, 2.5 mph was FAST to me, and 15 minutes felt like a long time. Now the reason I stop usually at 30 minutes is because I need to get to work, not because I am exhausted. I add 40 minutes 4 times a week of weights with a DVD, and sometimes add another half hour on the treadmill at night (say, two nights a week). So yes, I do. And yes, I like it. Treadmill in the morning means I have energy all day, and it feels GREAT. The weight workout is soothing in its on way, repetitive, this thoughtless and physical groove. I have in the past, and i plan to in the future...Just started the Nutrisystem diet, and I want to see what Im losing before I add exercise to the list. During the warm months, 1 day out of the week I like to do some hiking, normally start out the beginning of the season with an hour and finish with 2-3 hours. It didnt seem to help last year, that was disappointing. I have a treadmill, and am in the process of moving my middle child out of my soon to be exercise/game room. This is where I feel I need the most motivation. Also, I watched the info commercial for Zumba yesterday, Im thinking about ordering the discs. I like the upbeat music they use. I keep trying to get a good routine going but it hasn't stuck yet. Going to a gym doesn't work for me (single mom, etc.). I have an exercise bike plus I use DVDs/On Demand for other workouts, plus the Wii. So I've got enough different things I could be doing at home, I just need to DO them! I do exercise, usually at least 4 times a week. I know that studies have shown that exercise doesn't help with weight loss, but I just can't wrap my brain around it. I think bodies craves movement. I don't expect exercise to make me thin, but I do expect it to make me feel better. Studies have shown exercise doesn't help with weight loss??? Really?? Where? I don't doubt there have been studies that show that, but I find that really impossible to believe. I am trying to live a healthy lifestyle now - sort of maintenance now and see where the weight comes off. Exercise is a big part of that because exercise is so important to HEALTH. Humans are not meant to be sedentary. I think I might have a broken a foot so I'm gonna have to be careful. Off to get an x-ray tomorrow. If they put me in a cast I'm gonna die. Seriously. Because that will cut off just about everything. "In general, for weight loss, exercise is pretty useless," says Eric Ravussin, chair in diabetes and metabolism at Louisiana State University and a prominent exercise researcher. Many recent studies have found that exercise isn't as important in helping people lose weight as you hear so regularly in gym advertisements or on shows like The Biggest Loser — or, for that matter, from magazines like this one. The basic problem is that while it's true that exercise burns calories and that you must burn calories to lose weight, exercise has another effect: it can stimulate hunger. That causes us to eat more, which in turn can negate the weight-loss benefits we just accrued. Exercise, in other words, isn't necessarily helping us lose weight. It may even be making it harder. I think it's true - there are many stories here about people whose weight loss slows, or they even gain weight once they start an exercise routine. No one is suggesting that exercise isn't good for health, but that's not the same as saying it helps you lose weight. Personally, my plan calls for a moderate amount - 30 minutes of walking a day. I'm still working my way up to that, but I don't plan to try to increase much beyond that, at least for now. At some point, I hope to develop a more active lifestyle for fun, and at that point, I'm sure I'll happily take the lifestyle over worrying about the scale. But for now, my primary motivation is weight loss. Last edited by April Snow; 03-05-2013 at 02:58 PM. Bah! He's from LSU, what does he know. Roll Tide. I do, I have a DVD the hospital gave me when I had my 10 month old, "Get your groove back mama", its got a 10, 20, and 30 minute section. The 10 min one is basically, walking intervals, with mini squats and kicks. I jog while they walk, and do full lunges and squats. I try to do it at least once a day, sometimes 3. The other 20, 30 minute ones are a mix of yoga and gentle work outs. Using the baby as a growing weight. Bwahahahaha. He loves it. I also try to walk a mile everyday, to make it just part of my daily movement, so while it's not something I count, it is something I do. April - I just realized that quoted your comments, not the ones you quoted. Sorry girl! I've always heard "Lose weight in the kitchen and get fit in the gym." Both food choices/limitations and exercise are important, but for different things. Food choice/limitation is what will help you lose weight. I've also heard that 80% or more of the fat you lose is directly because of food choices. Exercise may help a little, but it's not the primary way you lose weight. Exercise is what will help you stay (or get) strong and flexible. A more fit body DOES burn fat more easily, especially as you grow more muscle. But by and large, exercise is more important for strength, flexibility, and stamina. It's good for blood sugar regulation, heart health, mobility, lowering blood pressure, increasing your mood, etc. 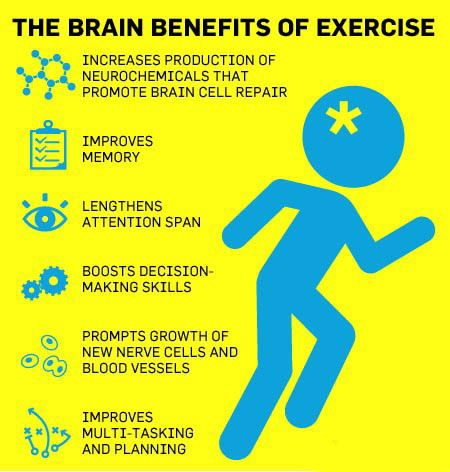 There are so many benefits to exercise that we should definitely do it regularly, whether we are losing weight or not. Our bodies are designed to move! I think this is an update to the software, when you quote someone, it only quotes their content, not anything they quoted in their post. or maybe it's not new, but on some other forums I'm on, there will sometimes be many layers of quotes within a single post and it gets very long and complicated to read.